Description from Goodreads: Hadley St. Clair's life changed the day she came home to a front door covered in slips of paper, each of them revealing an ugly truth about her father. Now as her family falls apart in the wake of his year-long affair, Hadley wants everyone-- her dad most of all-- to leave her alone. Then she meets Sam Bennett, a cute new boy who inexplicably "feels like home" to Hadley. Hadley and Sam's connection is undeniable, but Sa, has a secret about his family that could ruin everything. Funny and passionate, SUFFER LOVE is a story about first love, family dysfunction, and the fickle hand of fate. 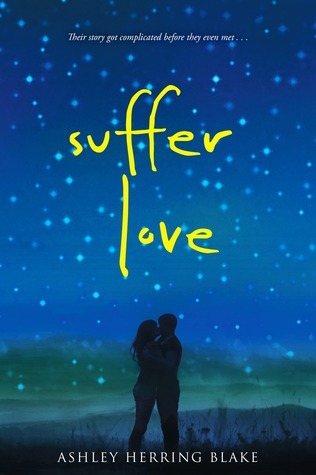 When I received an ARC of SUFFER LOVE, I was ecstatic. I'd been wanting to read it for quite some time, so I started in on it immediately, but I've been away from my laptop for so long that I didn't get to post my review on release date. Anyway, it didn't turn out to be quite as good as I had hoped. It wasn't a bad book, but it wasn't a great one, either. Hadley, first of all, is going through some mega tough crap. Her dad had an affair, and it left her family completely broken, and it seems like her dad is the only one who wants to try to pick up the pieces. I liked Hadley's character, though I found it difficult for me to relate to her for more reasons than the fact that I couldn't empathize with her parental situation. For me, she just felt a little detached. But Sam. Sam I loved. His mom cheated on his dad, and instead of anyone trying to fix things, his dad moved away and left them. Sam is forced to take care of his younger sister, because their mom isn't around much and she can't be bothered to be a mother. Him I could relate to, because it seemed to me like he wore his heart on his sleeve more than Hadley. Where Hadley was just angry and resentful, Sam had had to move on with his life so that he could step in as a parental role for his sister. He still had the anger, but he didn't let it consume him. I want to warn you guys. I'm about to do a spoilery thing. If you do not like spoilers, please skip the next paragraph. Alright so pretty early on, like in the first five or so chapters, you realize (And you kind of get it from the premise) that Hadley's dad cheated on her mom with Sam's mom. That's how the two are interwoven, and that's how things are made difficult. I LOVED this idea-- the suspicion that this was the case is what made me want to read the book-- however, I feel like it was used as a cliche plot device here, in terms of how it was executed. Throughout the whole story, Sam knows. He knows that Hadley's dad is the one his mom cheated with. And (Here's where the cliche part comes in) he completely keeps it from Hadley until the very end of the book. Of course, that causes a huge fight that ends with them breaking up for a bit before coming back together in the end. Now, with the premise giving the hint that their families were intwined the way they were, I thought this was going to be a super fresh, super new story. And it was-- in the sense that Sam and Hadley fell in love even though their parents had had affairs with each other-- but it wasn't new in the sense of using that information as the thing that causes the major conflict within the story. I was hoping for a bit more on that end of things. 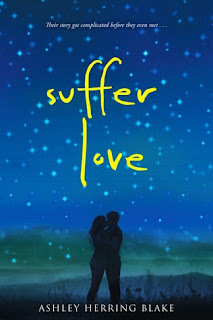 Overall, I enjoyed SUFFER LOVE. I loved the title and liked the story, but that one major cliche really took it down a few notches for me. On a five star rating scale, I give this one three point five stars. I'm glad I read it, but it's not something I'd go crazy over. Though in terms of fresh and new contemporary, I would say this is (for the most part) that. The side characters were great, and there were a few twists that I didn't see coming, but this one just didn't leap out high on my radar. I would be more than happy to review your book, or participate in any blog tours/promo posts you may have. Feel free to take a look at my Contact Me page, and then shoot me an email! 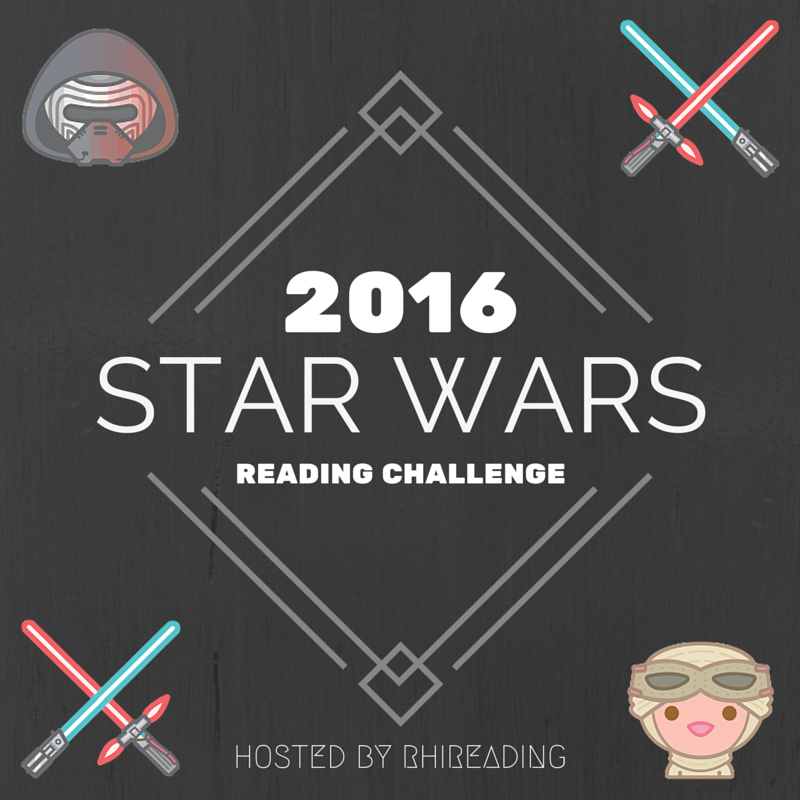 Layout by Ohana Reads. 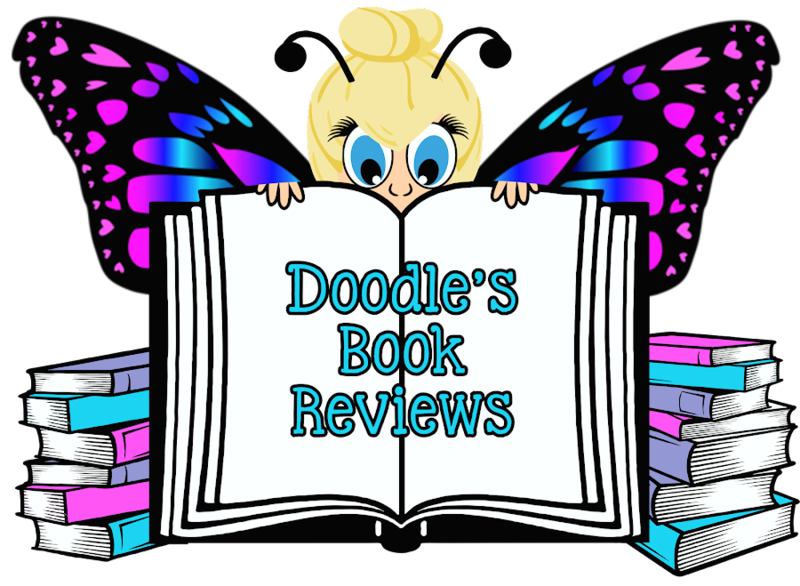 Copyright Doodle's Book Reviews. Simple theme. Theme images by imacon. Powered by Blogger.